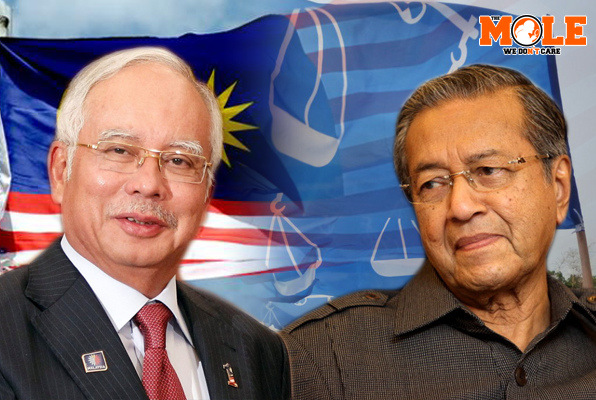 KUALA LUMPUR – March 24, 2016: A heated debate has erupted in the cyberspace after former prime minister Tun Dr Mahathir Mohamad filed a lawsuit against Prime Minister Datuk Seri Najib Razak for his alleged abuse of power in public office. Scores of netizens ranging from those who were supportive of the establishment and those against it have been ceaselessly arguing with one another via social media since last night. Some have pointed out that Dr Mahathir was desperate for attention and that his “Najib-ouster” via political means had failed hence his latest change in strategies. “He’s angry that his so-called ‘Citizen Declaration’ had failed to gain traction and with few signatories on the petition he cannot prove to the Council of Rulers that people hate Najib,” was the acrid remark by Facebooker Kerengge On Wheels. One of them even gave the impression that Dr Mahathir was un-Islamic to do so because as a Muslim, he can only take legal actions against someone if he have solid evidence instead of hearsay. “Islam rejects legal actions based on perception. 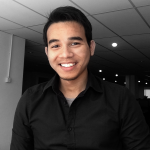 One can give opinion but that opinion must base on credible sources,” wrote Aznil Hisham. 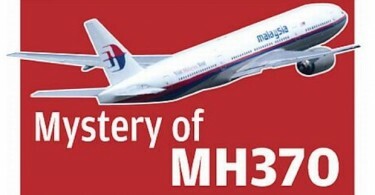 “Madey (Dr Mahathir) prefers to trust dubious sources. Madey accuse without solid evidence. Is this the kind of person you want to follow?” he added. There were also those who deemed that Dr Mahathir will create more ruckus if he lost his lawsuit. “When he lost, he will moan that the PM (Najib) has controlled the entire judiciary institution,” wrote Ajoy Yusof. “Should he do this then he will instigate people to doubt and hate the institution,” he added. Some had even implore for Dr Mahathir to “give it a rest” and live his remaining lives in peace. “Tun (Dr Mahathir) you’re entering an age where your grave is calling to you. At this age you’re supposed to devote yourself to God and repent for your sins,” Anok Jatey Kelate pointed out. “We stand by you Tun! This fight for our future generation. Remove Najib,” As Dulina Arieana commented on Facebook. 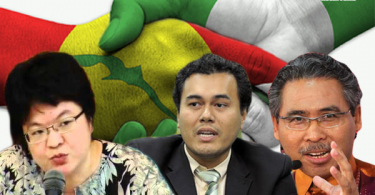 “We understand that Tun loves Umno but the present Umno is too stained and spoilt…they can no longer be washed clean only need to be removed,” he wrote. Aside from Dr Mahathir, former Batu Kawan division chief Datuk Seri Khairuddin Abu Hassan and former Umno Langkawi Putri chief Anina Saadudin were also the plaintiff named in the lawsuit against Najib.